We do lots of work for large franchise’s here at Konig Media. Some of our clients are IHOP, Taco Bell, Pizza Hut, Long John Silvers. 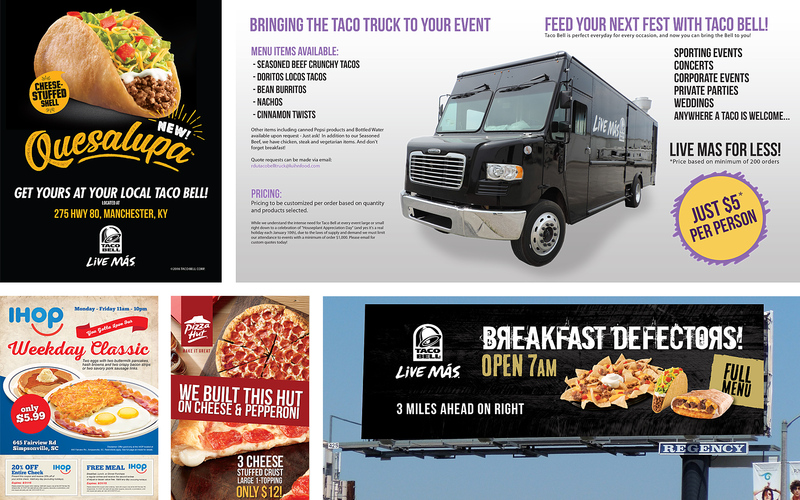 We do everything from menus and direct mailers to billboards.